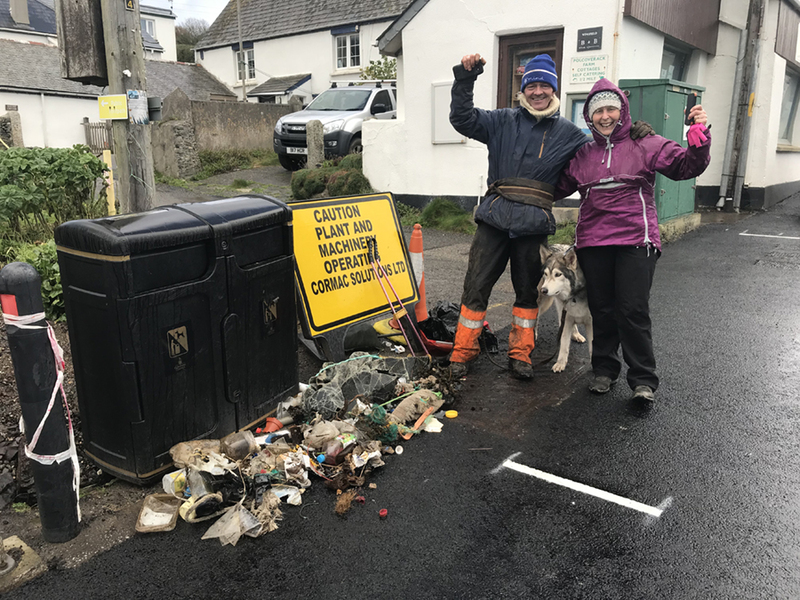 It’s wonderful to meet inspiring people, and so I was keen to meet Wayne Dixon, a former social worker and soldier who is currently walking all the way around the British coast, litter picking and raising awareness about the environment and social issues. In April two years ago, I set off on my very first adventure as Action Nan, walking all the way around the Cornish coast, from Marsland Mouth on the Devon / Cornwall border near Bude all the way around Land’s End and then east again to Cremyll near Plymouth. My mission was to raise money for the RNLI as well as to challenge myself to one more adventure. It was a truly remarkable experience. There were times when the wind was howling and the path seemed mountainous and never-ending that I wanted to be back home, snuggled up safely. But over the three weeks that I was walking, I also experienced real peace and freedom. Being disconnected from the day to day interruptions and demands of life was wonderful and I met so many fascinating people along the way. 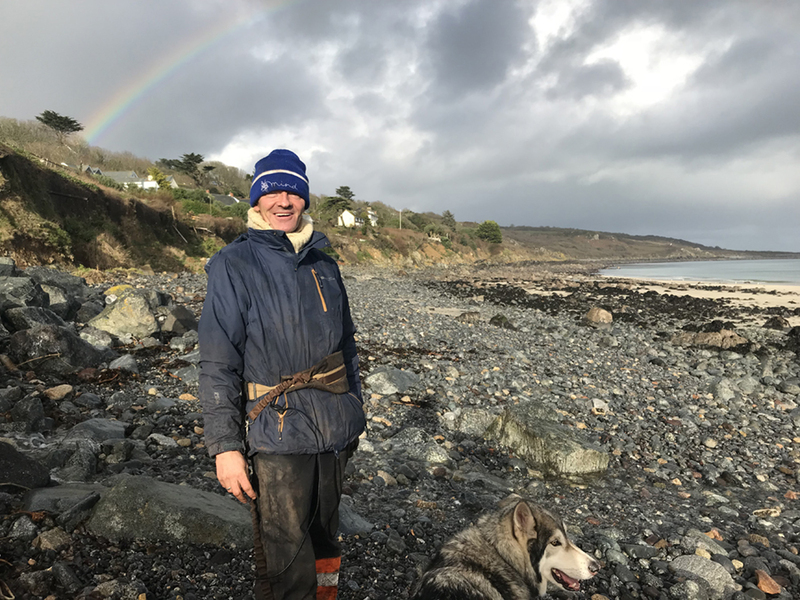 Just two months before I set off, in February 2016, Wayne Dixon, a former social worker and soldier from Blackburn set off on his own journey, walking the whole of the British coast path. I’d heard a lot about Wayne through the news and social media. 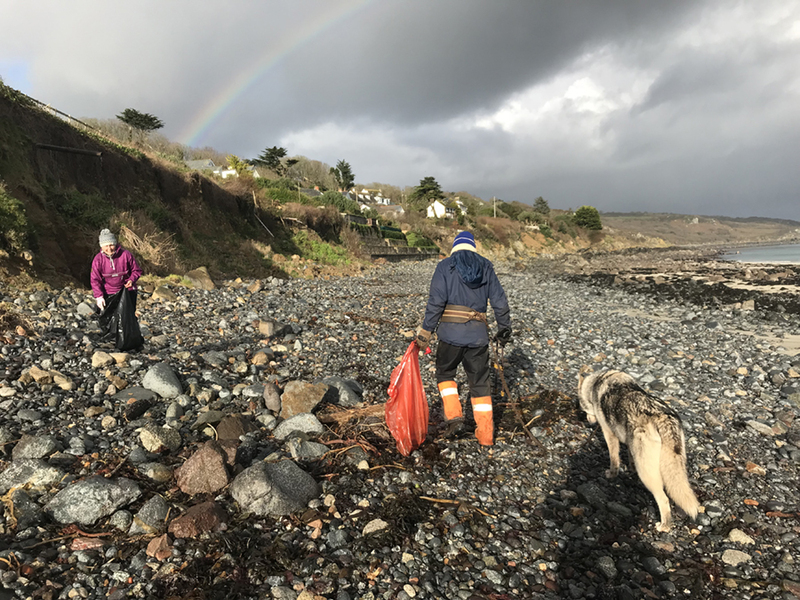 As well as undertaking an epic coastal walk, Wayne is litter picking as he travels and raising awareness about environmental issues that I too want to highlight through my work with Final Straw Cornwall and my plan to do a beach clean every week in 2018. When I heard he had reached Cornwall, I very much wanted to meet him. We met on grey day in Coverack, with the icy wind blasting in from the sea. 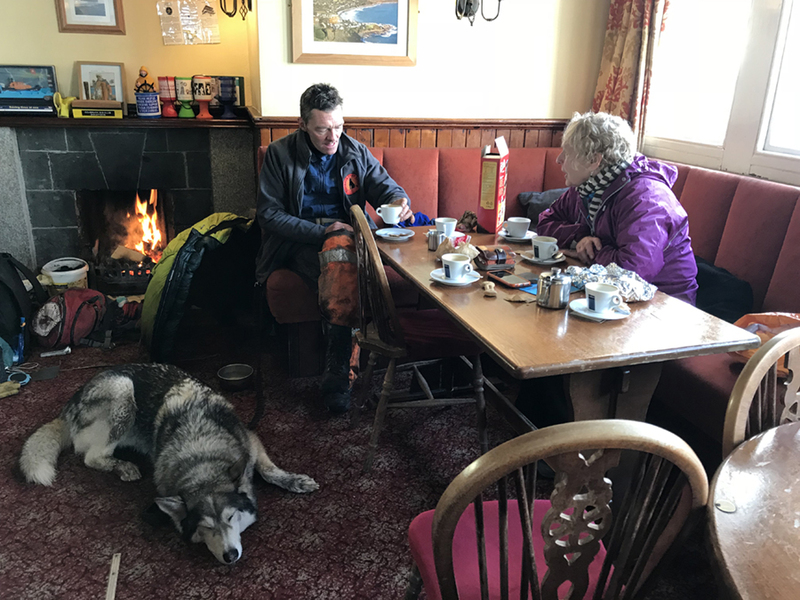 I brought some pasties and arranged to meet Wayne by the fireside of the Paris Hotel pub in Coverack, which offered all of us, including Koda, Wayne’s husky dog, a very warm welcome. As we sat in the warmth, with Wayne’s clothes, damp from the morning rain and a night camping beside the coast path drying by the fire, Wayne shared his story, some of his adventures and talked about why he has chosen to walk every day with his home, essentially on his back. Wayne’s life before he began walking around the coast had been full of adventure but also hard times. Having worked as a soldier in Germany, he spent time in his twenties travelling around Europe and Africa. During these times, he loved to walk with his dad, with the two of them going on walking holidays to Greece and Turkey. In his mid twenties he settled down to work as a social worker, helping youth offenders to rehabilitate. It was during this work when he had a cycling accident and broke his neck. Wayne’s dad passed away five years ago after suffering mental ill health and then heart problems and after he died, Wayne and his sister inherited their father’s house. 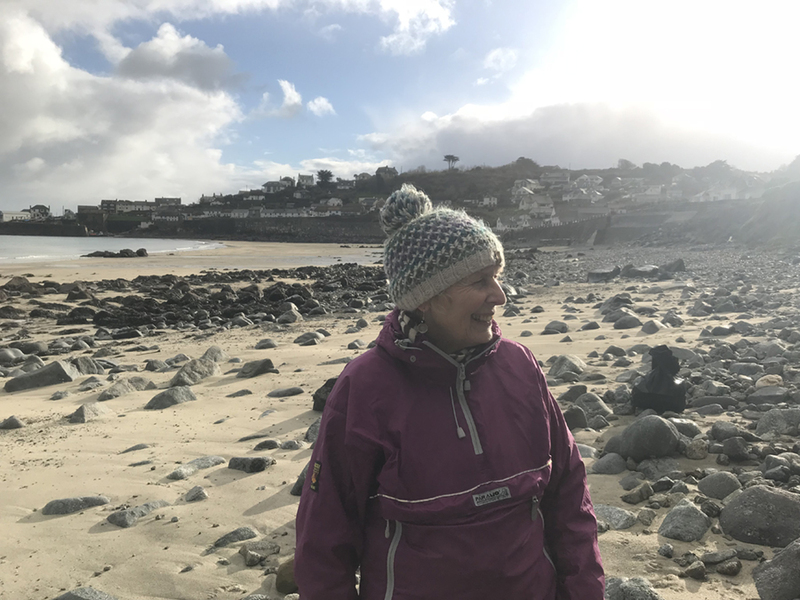 Wayne took time out to look after his sister, who had been badly affected, living in Cornwall on the Lizard peninsula for 18 months, and it was during this time he realised that he was in a position to carry out his dream of walking around the coast path of Britain. 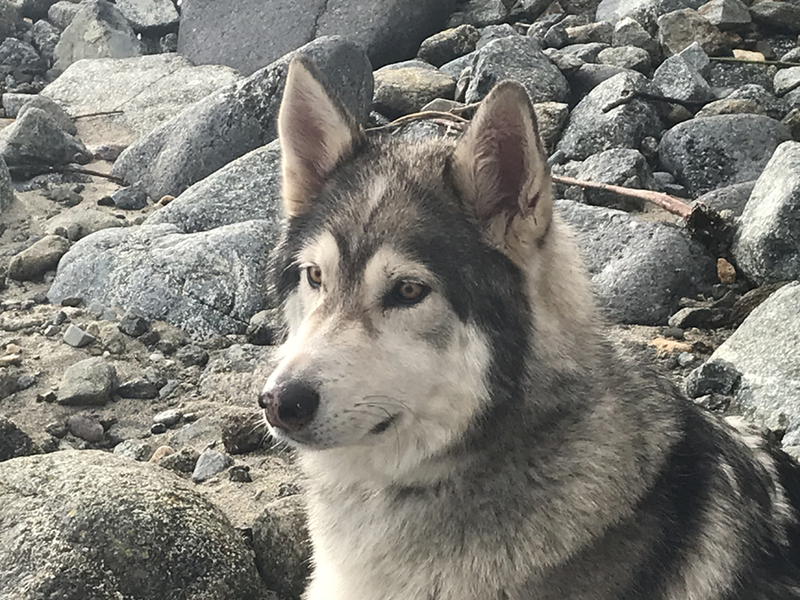 “I suddenly realised, I had the rental income from dad’s house, and if I was careful and only spent £200 per month, I could just take Koda, my dog, and set off walking. I took a tent and contacted Keep Britain Tidy who supplied a litter picker and my bag holder. Wayne set off from Fleetwood in Lancashire and walked north towards Scotland, never taking ferries but walking all the way around river mouths and inlets. After reaching Glencoe and being advised not to walk around the north of Scotland in midwinter, he went home for a week to recover from flu and then headed back to Lancashire and walked south, reaching Cornwall’s southern-most point in December 2017. When we met, in February, he had just set off again, heading east along the south coast of Cornwall, having had a couple of weeks at home with family over Christmas. It was really inspiring meeting Wayne a real life hero if ever I met one.